One reason (among many) I was so looking forward to moving to California was the food. California is known for hip and trendy restaurants, great farmers' markets, fresh seafood, and...good wine. Wait, what? Y'all, don't even try and tell me that wine isn't a food group, ok?! 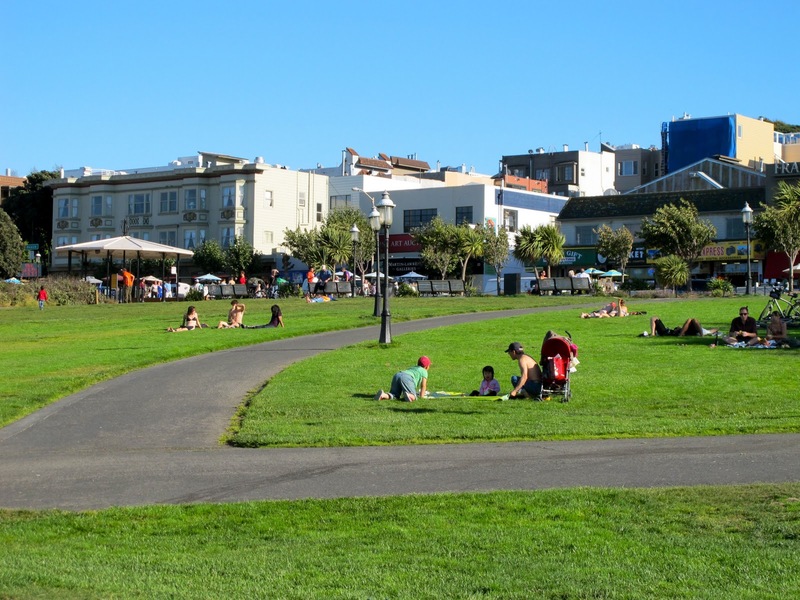 Anyway, my husband and I moved to, what we believe to be, the best part of California: the San Francisco Bay Area. It is perfection, really. And we're enjoying every minute of it. We made it up to the city (SF) last weekend with friends. 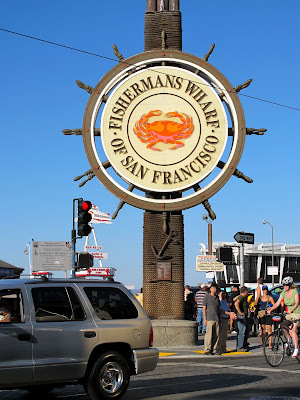 It was decided that Boudin would be our destination for dinner that evening at Fisherman's Wharf. 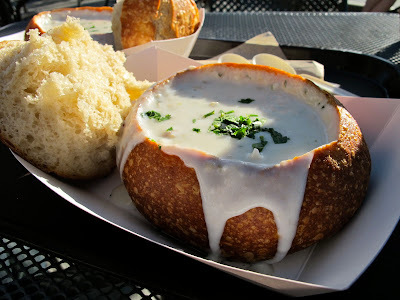 I had heard great things about Boudin's sourdough bread bowls from my husband, who was able to enjoy them on a trip out to the area last year. I had also heard great things about their clam chowder. Um, excuse me? I so desperately wanted to order the tomato soup as I nervously stood in line at Boudin. But peer pressure sunk in, folks. Fine - I'll try the clam chowder! Dare I say I enjoyed it? No - I don't think I'll publicly admit that. That's a rather big commitment. So I'll say this: it was actually pretty good. Of course, when I chomped down on an actual piece of clam, it was a little seafood-y. But, I ate it. A lot of it. And the bread bowl? Oh, friends, the bread bowl! Carbs are truly a wonderful thing, and the bread bowl did not disappoint! Boudin has several locations in San Francisco. If you're ever visiting the city, definitely check it out! 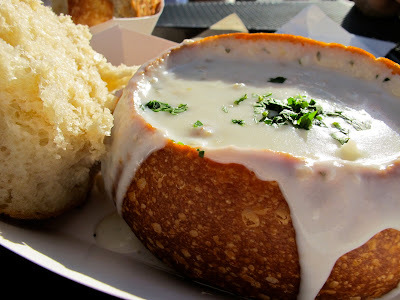 Although I don't think I'd get the clam chowder (just because it's meat), I'd REALLY love to visit California and try all the yummy eats. Maybe I'm just a little bit jealous of you?! Wine is definitely a food group ;-) I am supposed to be in San Fran in the spring for work. So excited. I've always wanted to visit. I am a lover of clam chowder and now you have me drooling over these pictures! And to know it's practically a country away! I'm so glad to hear you guys are loving it so far! Bread bowls are the best ever. If you are ever in Pismo Beach in CA, you have to go to Splash Cafe and get the chowder in a bread bowl. Seriously. To. Die. For.